Ships tomorrow if you order in the next 17 hours 18 minutes. The hormone known as DHEA could have a serious impact on keeping you feeling youthful. We know that levels decline as we age. Plus, DHEA is needed when your body makes other important hormones - including those that are specific to men and women. There is some evidence that supplementation with DHEA could boost cognitive function in older adults. Plus, it may also support your body's immune system. 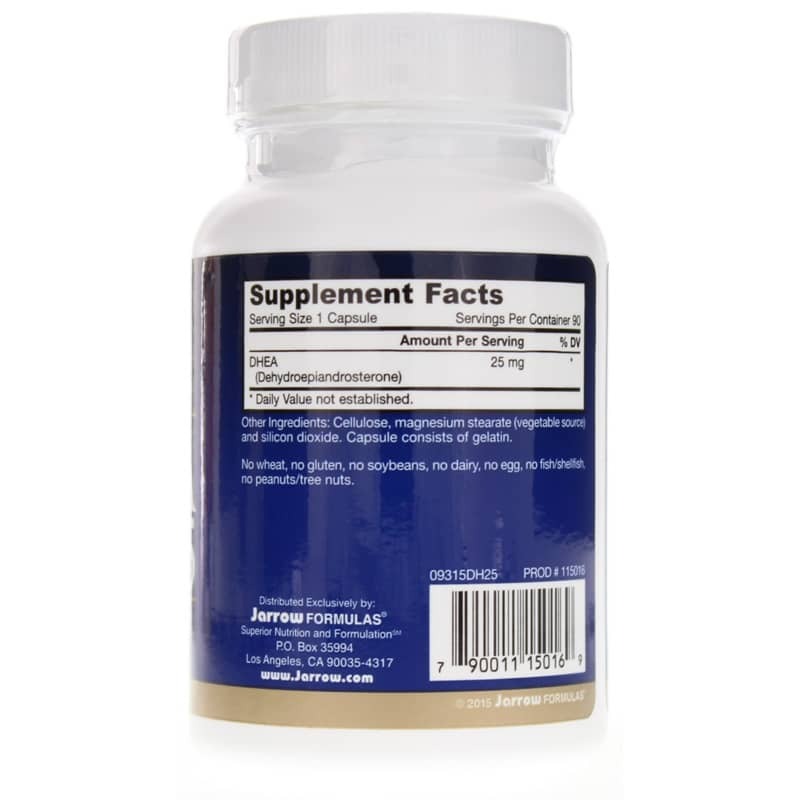 Jarrow Formulas offers DHEA 25 as a natural supplement for healthy hormonal support. 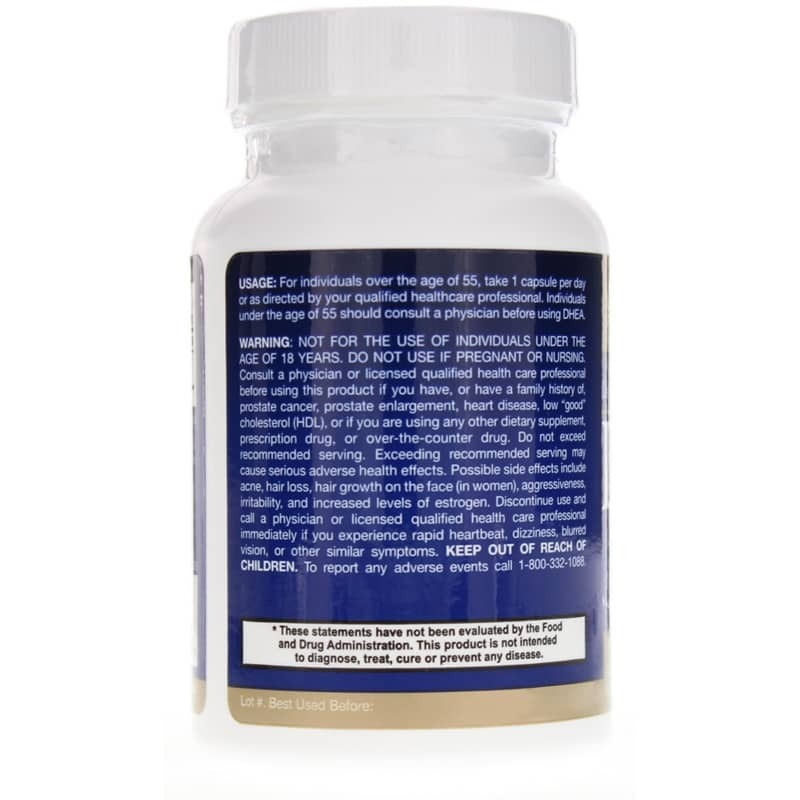 This supplement is designed to help restore levels of depleted DHEA. Talk to your healthcare practitioner about using this natural product to help improve your memory and overall wellness. 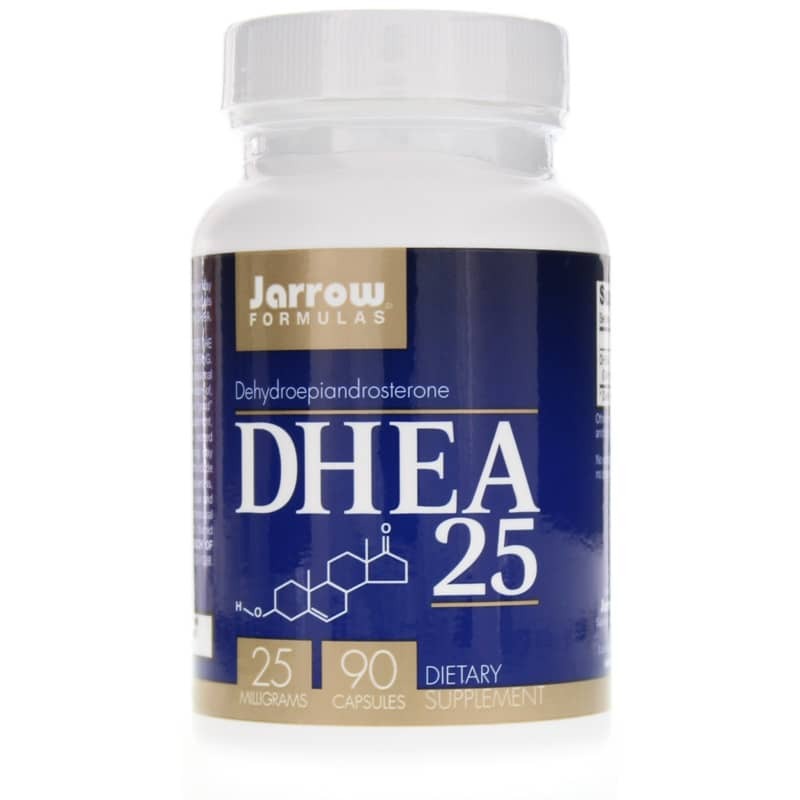 Get DHEA 25 from Jarrow Formulas! Contains NO: wheat, no gluten, no soybeans, no dairy, no egg, no fish/shellfish, no peanuts/tree nuts. Adults: For individuals over the age of 55, take 1 capsule per day or as directed by your qualified healthcare consultant. Individuals under the age of 55 should consult a physician before using DHEA. Not for use by individuals under the age of 20 years. DO NOT USE if pregnant, nursing, or trying to conceive. This product is not a training aid. Use of this product as a training aid, especially in younger individuals, may result in adverse health effects and will not benefit strength training. Consult a physician or licensed qualified healthcare consultant before using this product if you have, or have a family history of, a hormonally related cancer (such as breast or prostate cancer), prostate enlargement, heart disease, low "good" cholesterol (HDL), or if you are using any other dietary supplement, prescription drug, or over-the-counter drug. Do not exceed recommended serving. Exceeding recommended serving may cause adverse health effects. Possible side effects include acne, hair loss, facial hair growth in women, aggressiveness, irritability, and increased levels of estrogen. Discontinue use and call a physician or licensed qualified health care professional immediately if you experience rapid heartbeat, dizziness, blurred vision, or other similar symptoms. Keep out of the reach of children.